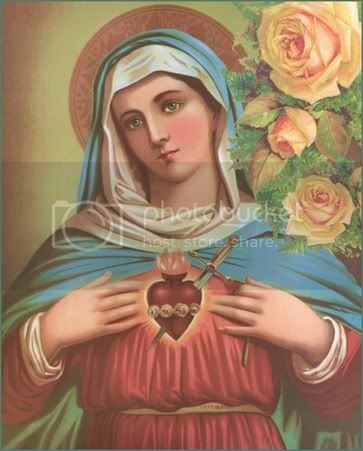 Formerly, the Feast of the Immaculate Heart of Our Blessed Lady was observed on August 22nd. Now, it is properly celebrated, in both Novus Ordo and Tridentine Rites on the Saturday immediately following the Feast of the Sacred Heart, uniting the Two Hearts' feast days in one of the most appropriate ordo reforms after Vatican II. Most Holy Virgin Mary, tender Mother of men, to fulfill the desires of the Sacred Heart of Jesus and the request of the Vicar of thy Son on earth, we consecrate ourselves and our families to thy Sorrowful and Immaculate Heart, O Queen of the Most Holy Rosary, and we recommend to thee, all the people of our country and all the world. Please accept our consecration, dearest Mother, and use us as thou wishest to accomplish thy designs in the world. We come with confidence to thee, O Throne of Grace and Mother of Fair Love. 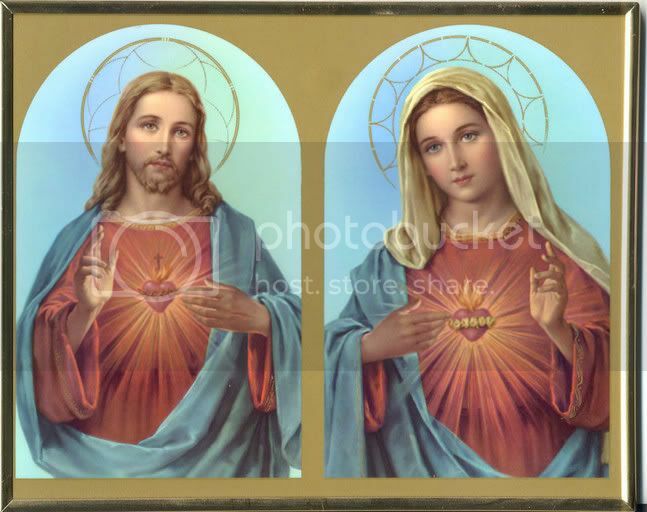 Inflame us with the same Divine Fire which has inflamed thine own Sorrowful and Immaculate Heart. Make our hearts and homes thy shrine, and through us, make the Heart of Jesus, together with thy rule, triumph in every heart and home.